Reading, C, and G Jofré. 2013. “Diet Composition Changes Correlated with Body Size in the Smooth Snake, Coronella Austriaca, Inhabiting Lowland Heath in Southern England.” Amphibia-Reptilia 34 (4): 463–70. Sewell, D, JMR Baker, and RA Griffiths. 2015. “Population Dynamics of Grass Snakes (Natrix natrix) at a Site Restored for Amphibian Reintroduction.” Herpetological Journal 25 (July): 155–61. Kindler, C, M Chèvre, S Ursenbacher, W Böhme, A Hille, D Jablonski, M Vamberger, and U Fritz. 2017. “Hybridization Patterns in Two Contact Zones of Grass Snakes Reveal a New Central European Snake Species.” Scientific Reports 7 (1): 1–12. Buckley, J, and J Foster. 2005. “Reintroduction Strategy for the Pool Frog Rana Lessonae in England.” English Nature Research Report. Glaudas, X, and GJ Alexander, 2017. “Food supplementation affects the foraging ecology of a low-energy, ambush-foraging snake.” Behavioral ecology and sociobiology, 71(1), 5. Glaudas, X, TC Kearney, and GJ Alexander. 2017. “Museum specimens bias measures of snake diet: a case study using the ambush-foraging puff adder (Bitis arietans).” Herpetologica, 73(2), 121-128. Madsen, T. 1984. “Movements, Home Range Size and Habitat Use of Radio-Tracked Grass Snakes (Natrix Natrix) in Southern Sweden.” Copeia 1984 (3): 707–13. Reading, CJ, and GM Jofré. 2009. “Habitat Selection and Range Size of Grass Snakes Natrix natrix in an Agricultural Landscape in Southern England.” Amphibia-Reptilia 30 (3): 379–88. Wasko, DK, and M Sasa. 2012. “Food Resources Influence Spatial Ecology, Habitat Selection, and Foraging Behavior in an Ambush-Hunting Snake (Viperidae: Bothrops Asper): An Experimental Study.” Zoology 115 (3): 179–87. Wisler, C, U Hofer, and R Arlettaz. 2008. 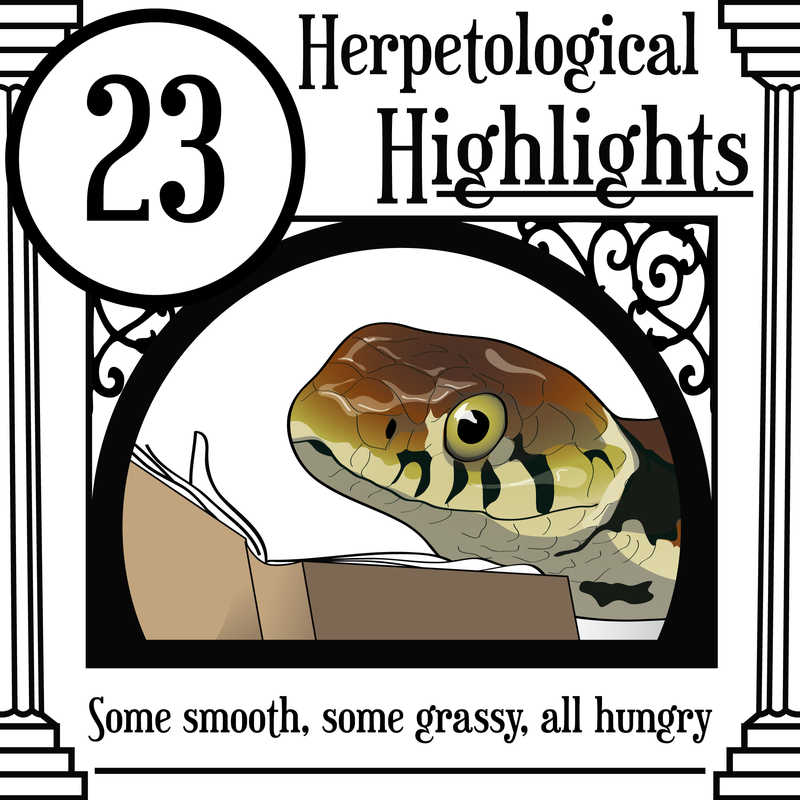 “Snakes and Monocultures: Habitat Selection and Movements of Female Grass Snakes (Natrix natrix l.) in an Agricultural Landscape.” Journal of Herpetology 42 (2): 337–46. Thomson, SA, RL Pyle, ST Ahyong, M Alonso-Zarazaga, J Ammirati, JF Araya, JS Ascher, et al. 2018. “Taxonomy Based on Science Is Necessary for Global Conservation.” PLOS Biology 16 (3): e2005075. Rose, JP, and BD Todd. 2017. 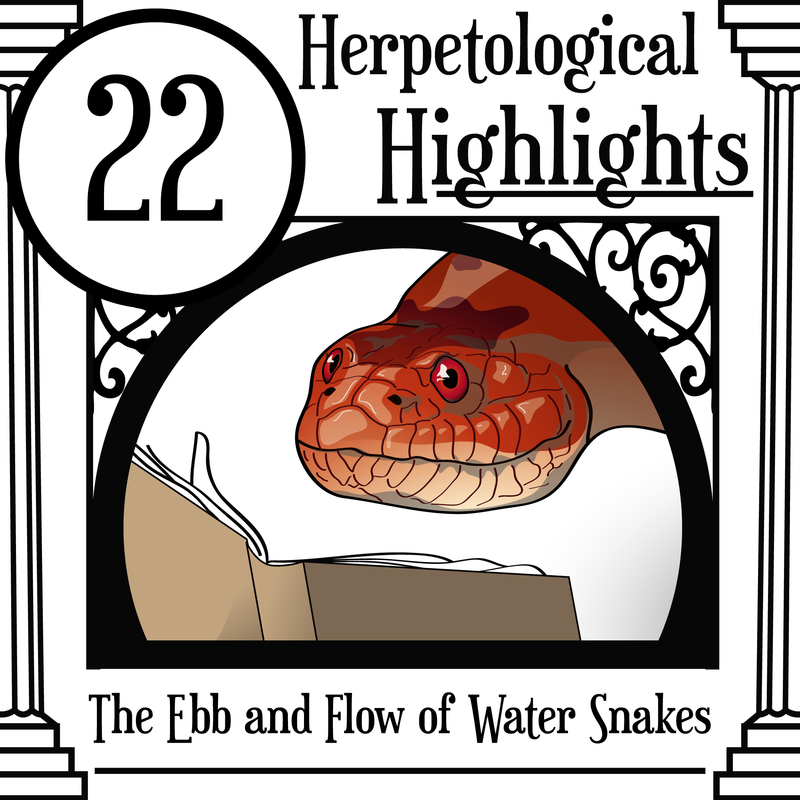 “Demographic Effects of Prolonged Drought on a Nascent Introduction of a Semi-Aquatic Snake.” Biological Invasions 19 (10): 2885–98. doi:10.1007/s10530-017-1491-4. Vogrinc, PN, AM Durso, CT Winne, and JD Willson. 2018. “Landscape-Scale Effects of Supra-Seasonal Drought on Semi-Aquatic Snake Assemblages.” Wetlands. Campbell, JA. 2015. “A New Species of Rhadinella (Serpentes: Colubridae) from the Pacific Versant of Oaxaca, Mexico.” Zootaxa 3918 (3): 397. Brown, GP, and PJ Weatherhead. 1999. “Growth and Sexual Size Dimorphism in Northern Water Snakes (Nerodia Sipedon).” Copeia 1999 (3): 723. Fernández, M., Hamilton, H., Alvarez, O., & Guo, Q. (2012). Does adding multi-scale climatic variability improve our capacity to explain niche transferability in invasive species?. Ecological modelling, 246, 60-67. Fuller, TE, KL Pope, DT Ashton, and HH Welsh. 2011. “Linking the Distribution of an Invasive Amphibian (Rana Catesbeiana) to Habitat Conditions in a Managed River System in Northern California.” Restoration Ecology 19 (201): 204–13. King, RB, JM Ray, and KM Stanford. 2006. “Gorging on Gobies: Beneficial Effects of Alien Prey on a Threatened Vertebrate.” Canadian Journal of Zoology 84 (1): 108–15. Mahoney, P. J. et al. (2015) ‘Introduction effort, climate matching and species traits as predictors of global establishment success in non-native reptiles’, Diversity and Distributions, 21(1), pp. 64–74. Mazzotti, F. J., Cherkiss, M. S., Hart, K. M., Snow, R. W., Rochford, M. R., Dorcas, M. E., & Reed, R. N. (2011). Cold-induced mortality of invasive Burmese pythons in south Florida. Biological Invasions, 13(1), 143-151. McClelland, P, JT Reardon, F Kraus, CJ Raxworthy, and C Randrianantoandro. 2015. “Asian Toad Eradication Feasibility Report for Madagascar.” Te Anau, New Zealand. Pounds, JA, MPL Fogden, and JH Campbell. 1999. “Biological Response to Climate Change on a Tropical Mountain.” Nature 398 (6728): 611–15. Rose, JP, and BD Todd. 2014. “Projecting Invasion Risk of Non-Native Watersnakes (Nerodia Fasciata and Nerodia Sipedon) in the Western United States.” Edited by Benedikt R. Schmidt. PLoS ONE 9 (6): e100277.